Being healthy in January isn’t any fun, consequentially we have succumbed to some chocolate snacks already, but we have being going to gym… honest. Our latest naughty snacking find are these Salted Caramel and Pretzel Bites. 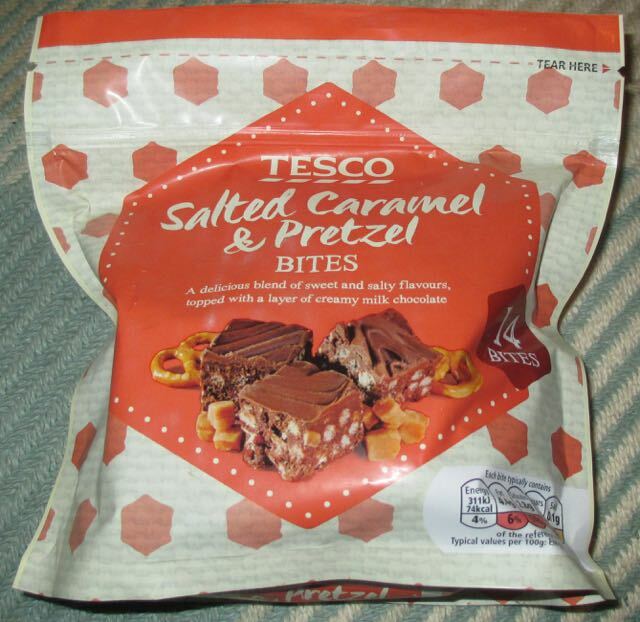 I like the flavours from the mix of pretzel and chocolate, so these appealed to me, and the addition of salted caramel seemed appropriate given it has been an “on trend” for so long I’m starting to think its permanent. Still salt and chocolate does work remarkably well. There are 14 bites in the bag, all square shaped, looking like a Rocky Road bar topped with milk chocolate. I took one and bit in. The texture initially felt firm, but the flavours were very mild. The salt was vague, and definitely not salty enough for me either from the pretzel or caramel. The chocolate was okay, but not special, not soothing and creamy and rich, just okay. As regular readers of this blog will know I like texture and mixed up textures, if done right, are my thing. I have to say the texture was interesting with these but it didn’t work for me. 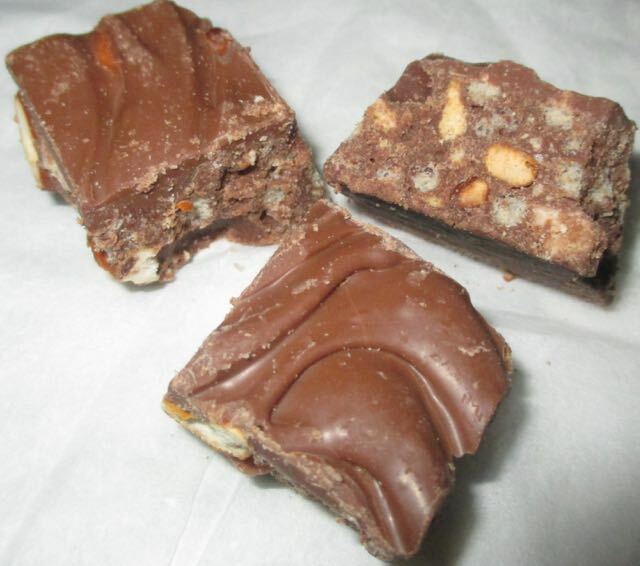 The firm feeling and slight crunch disappeared very quickly and melted into almost nothing. This meant they didn’t feel satisfying, just light I guess. I think my expectations of these Salted Caramel and Pretzel Bites was a firm but varied and solid texture, filled with rich flavours, both of milk chocolate and the promise of strong salt. What I had was a toned down version of this, mild tastes and a slightly weird light texture. The bag is handily resealable, so I will come back to them. They aren't so bad that I won't finish the pack, but they are not one I’d buy again. Have you tried them? What did you think?